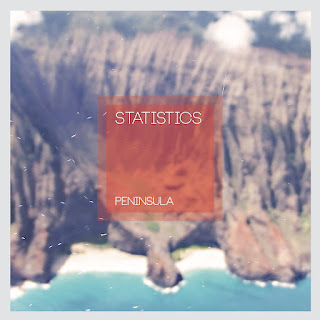 Atlas and the Anchor: Free Friday: Statistics - "Peninsula"
Free Friday: Statistics - "Peninsula"
Statistics is the solo project of singer/songwriter/multi-instrumentalist Denver Dalley, who with Conor Oberst, played in Desaparecidos. His debut solo album came out almost a decade ago and his wizened, long-awaited third album, Peninsula, was released this week as a free download through Afternoon Records (Dolfish, Poison Control Center). During his hiatus as Statistics, he has been very busy composing film scores and touring in the backing band with a host of bands including, Har Mar Superstar, who guests on the standout track, “Take The Lead”. Dalley’s eclectic electronic-informed brand of indie rock has been injected with new life from his touring experiences and from playing with a diverse group of bands. The album opens with “Rewind”, a short, aptly-titled intro that samples the sped-up and high-pitched sound of a tape rewinding. Though he might be rewinding into the past - as lead single, “Nineteen-Ninety-Nine” offers a dose of Y2K nostalgia - his music still has a foot in the future as the aforementioned “Take The Lead” is a slick slice of futuristic electro-funk. Other standout tracks include is his soft and skeletal take on Rilo Kiley’s “Picture Of Success” and the stuttering power-pop of “Fever Sleep”. Peninsula is a welcome return for Denver Dalley and his Statistics moniker. Clifton's Ford - "Places We Went Wrong"